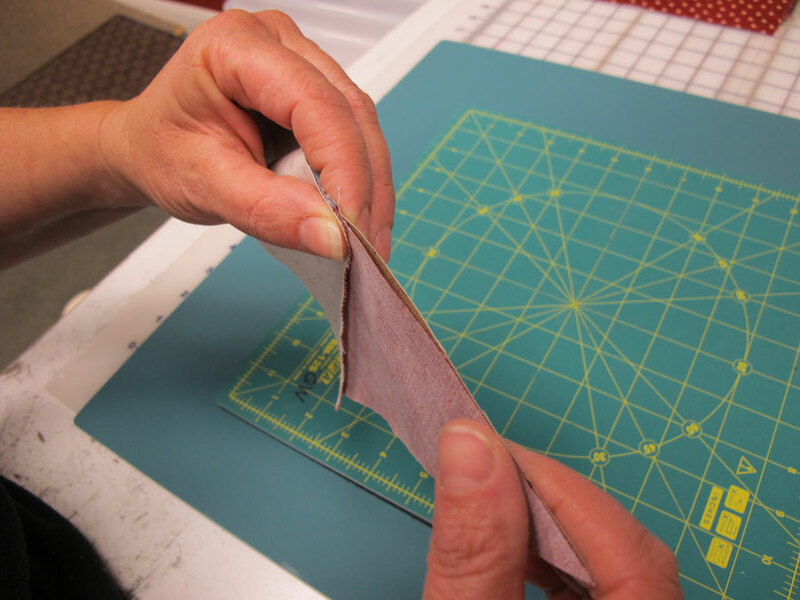 Sew 1/4″ down each side of the drawn line. 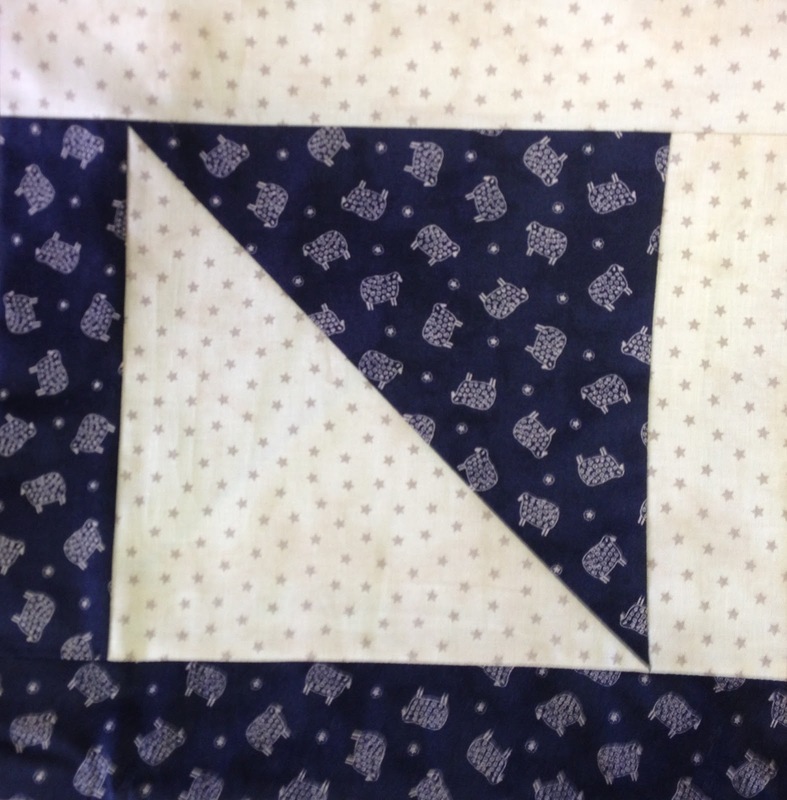 Cut down the diagonal line to make two half square triangles from each square. 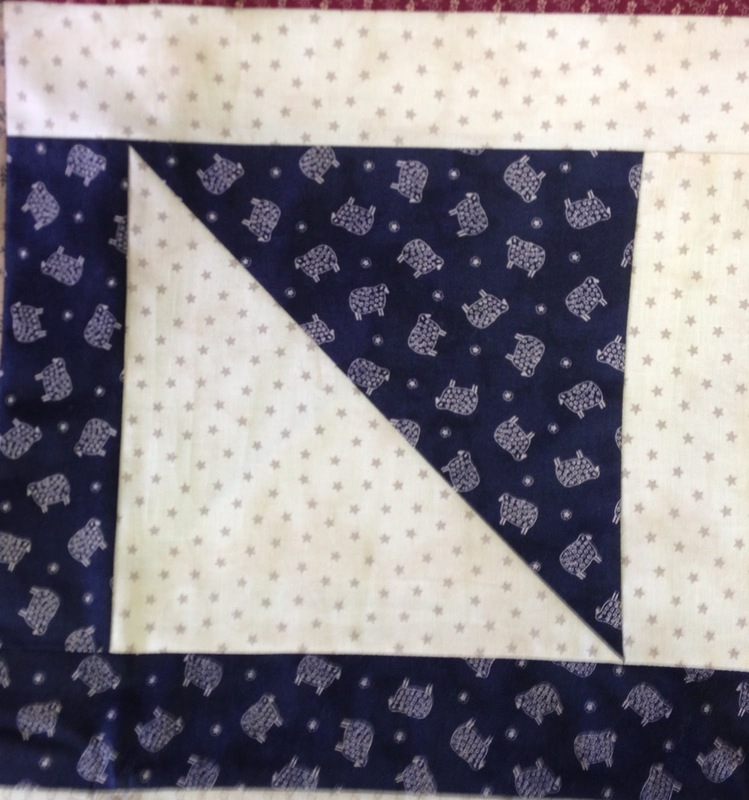 Press the 1/2 square triangles open, with seam allowances to the darker side. 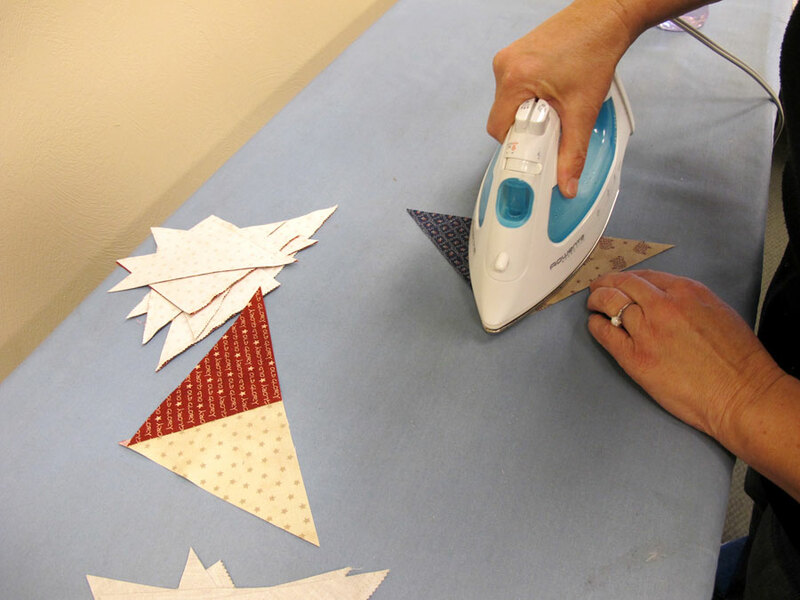 Cut carefully – there is very little waste. 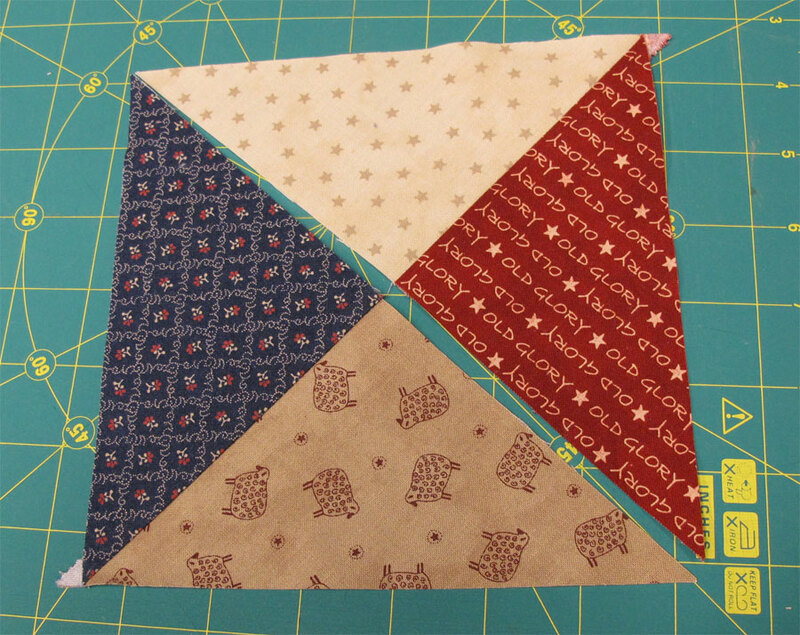 Match the coordinating cut jelly roll strips with each set of the 8 1/2″ half square triangles that you made. 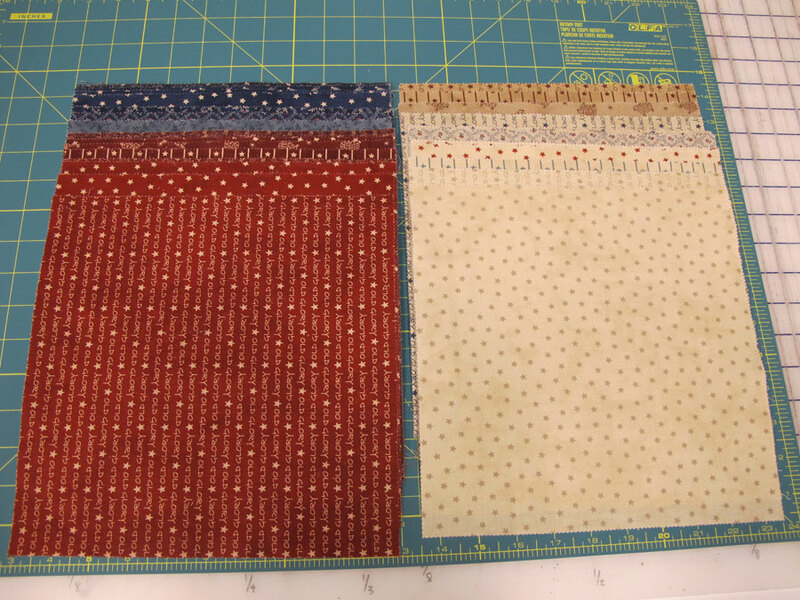 First, sew the 8 1/2″ strips on the sides of the coordinating block. (Opposite colors attached to each other.) 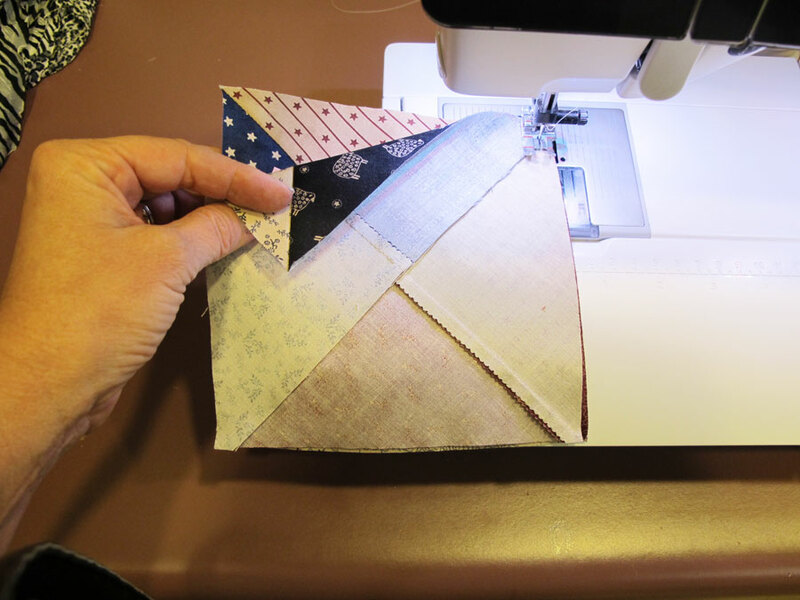 Press seam allowance away from the block to reduce bulk. 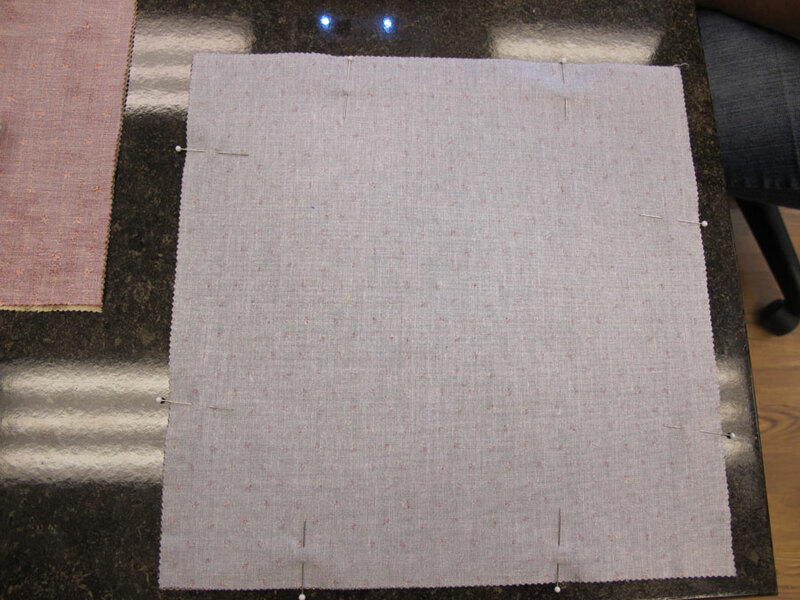 Then sew the 12 1/2″ strips on the top and bottom, as in the picture below. 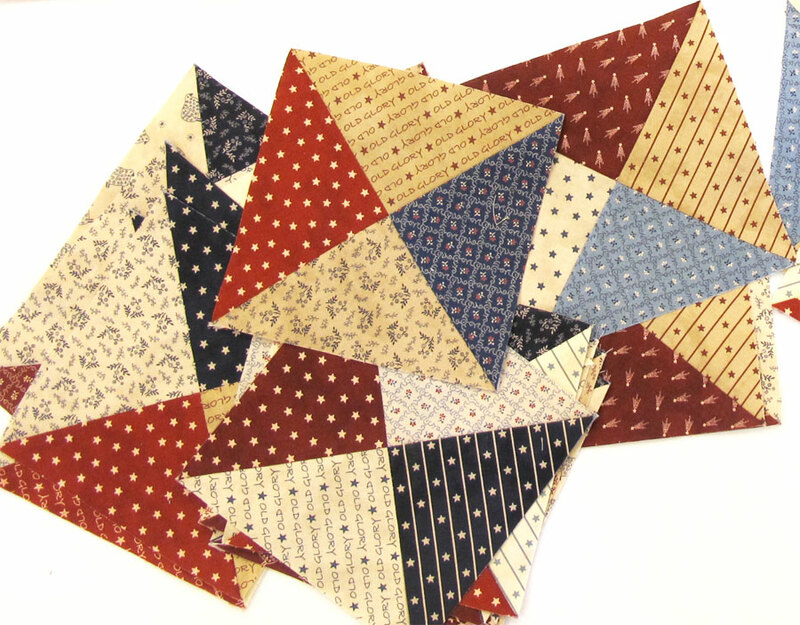 Lay then out 5 by 7 in any fashion that is appealing to your eye. 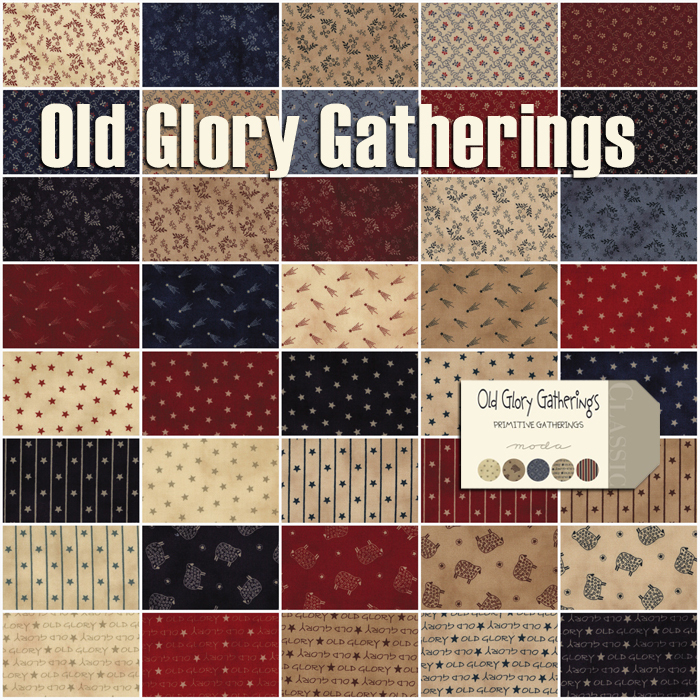 This makes a 60″ x 84″quilt. 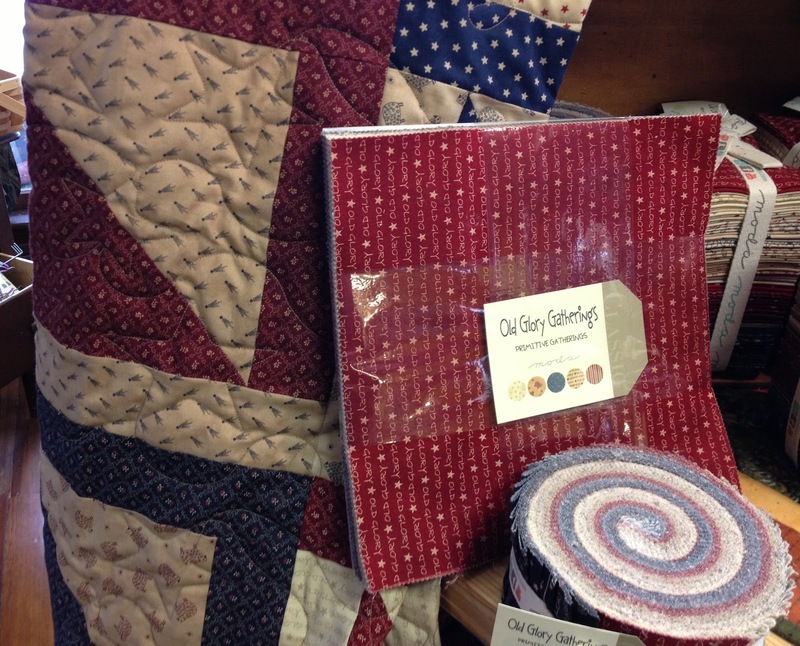 2 fat quarters for additional squares and jelly roll strips. Requires an additional layer cake and jelly roll to complete 80 blocks. 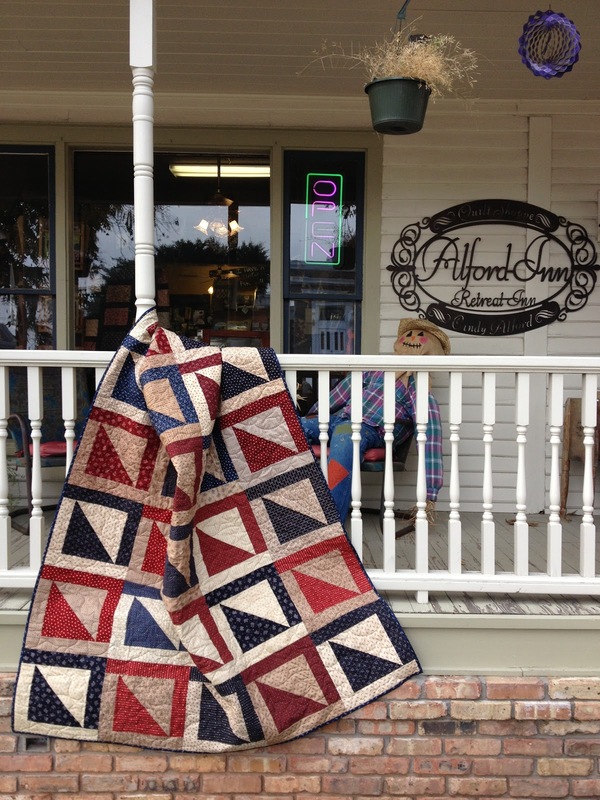 Hello quilting friends! 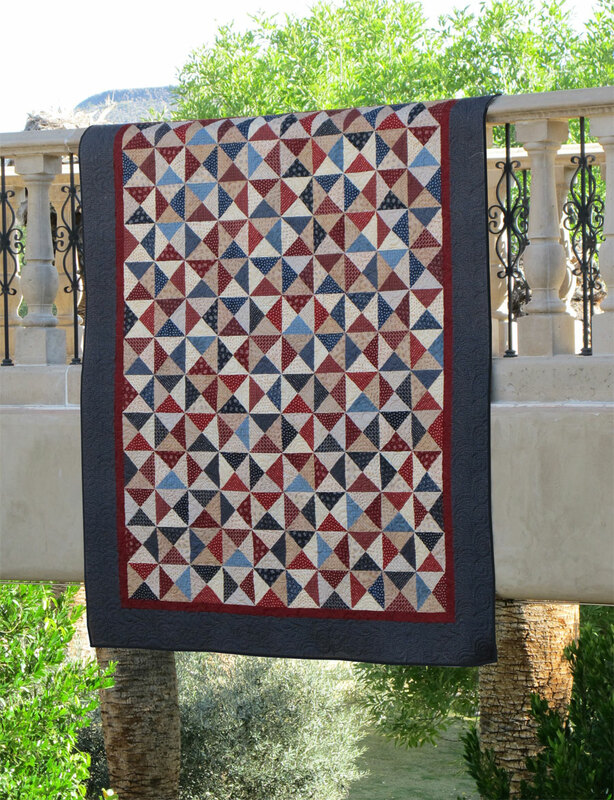 We are Quilted Works and we are so excited to be sharing our very first Moda Bake Shop project! Today we are sharing with you a fast and easy tutorial for creating hour glass blocks using a Layer Cake. 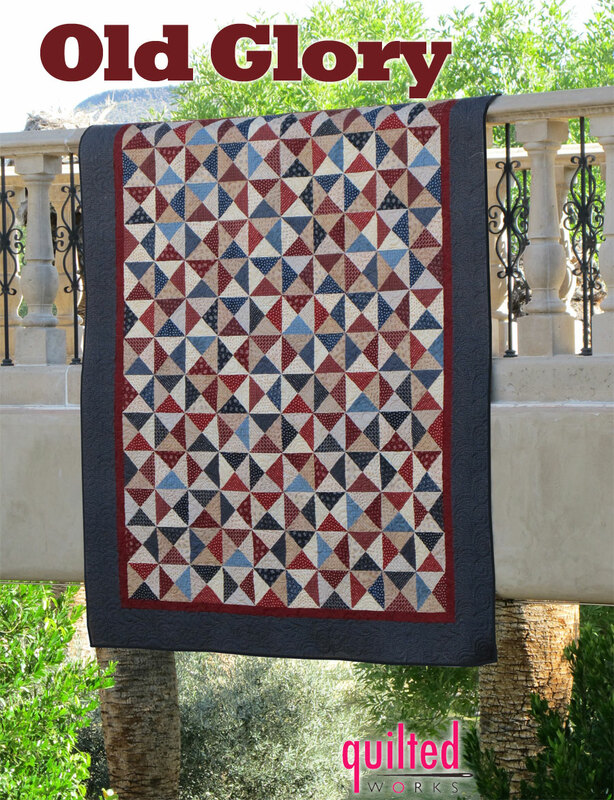 We had so much fun creating this quilt and know that you will all love it. 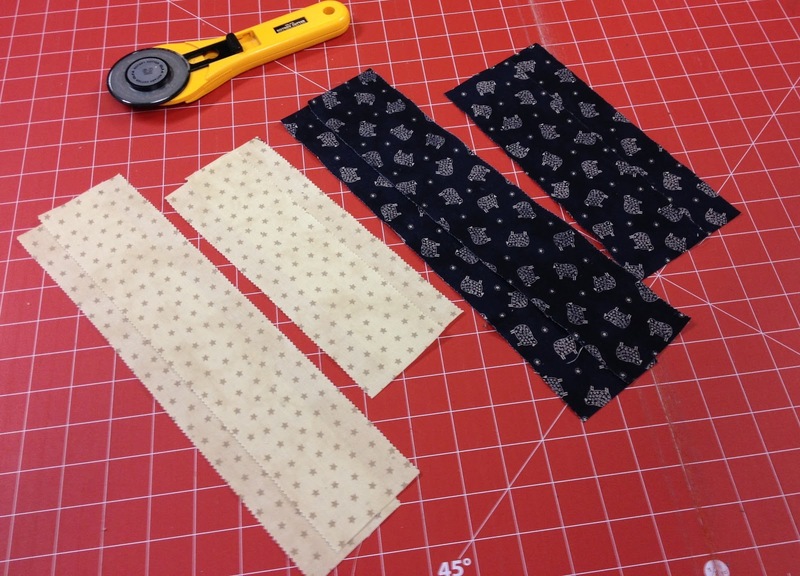 Select one DARK and one LIGHT fabric square and place them with right sides together. Pin all sides. 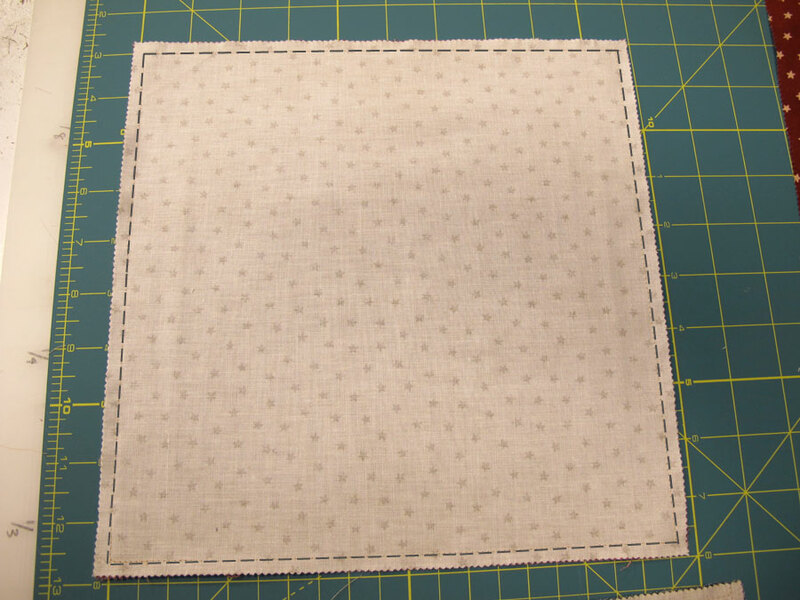 Sew 1/4″ seam around the entire 10″ square. 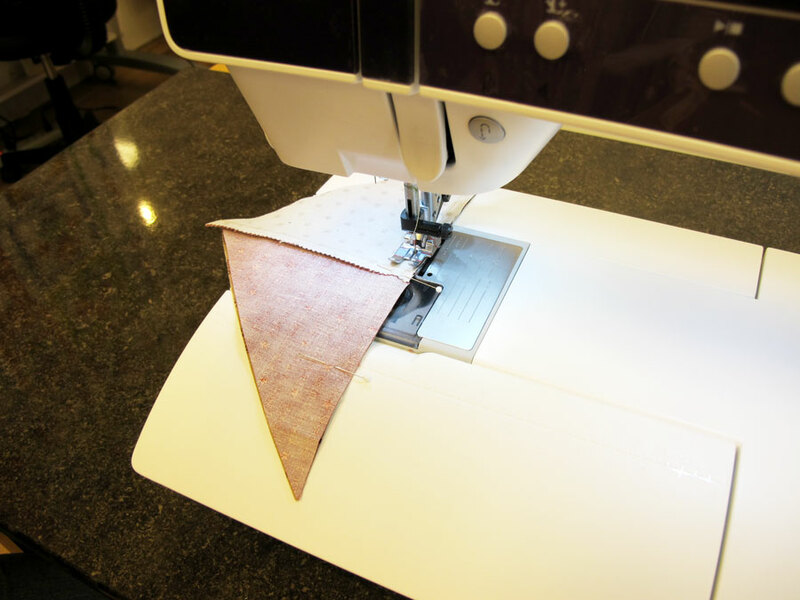 When you come within 1/4″ from the corner, simply leave your needle down, and pivot the fabric to continue sewing around the square. 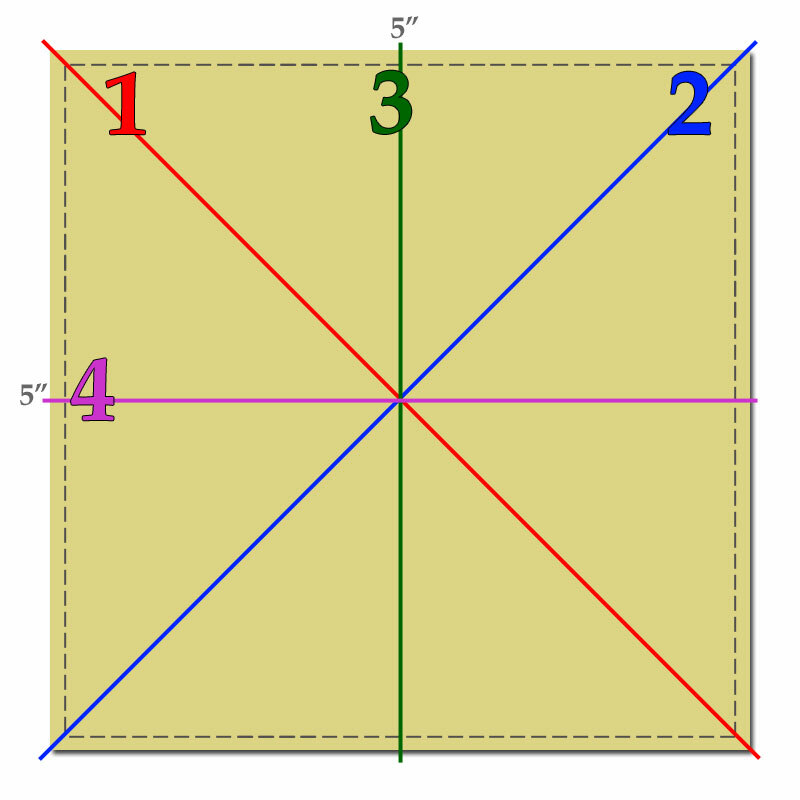 Next we will be cutting the squares into 8 pieces. 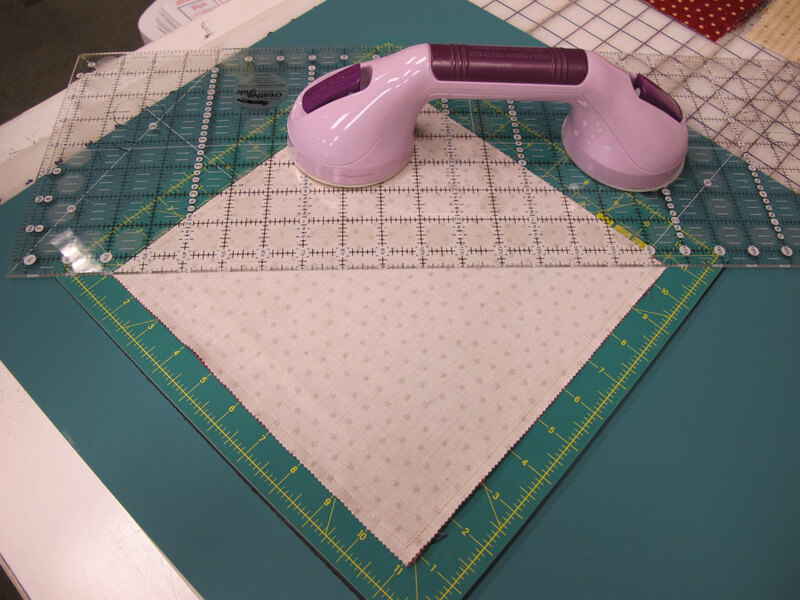 Place your square onto the cutting board. 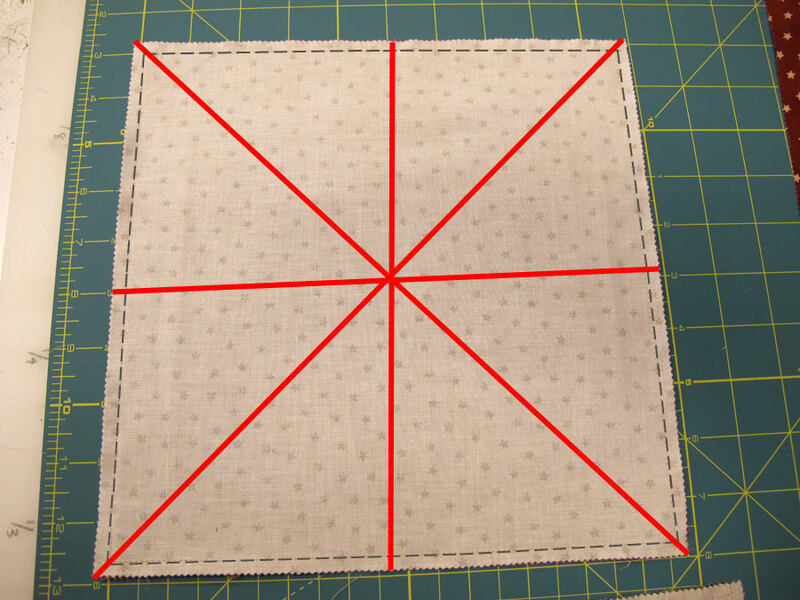 Do not reposition your square after making any of the cuts. 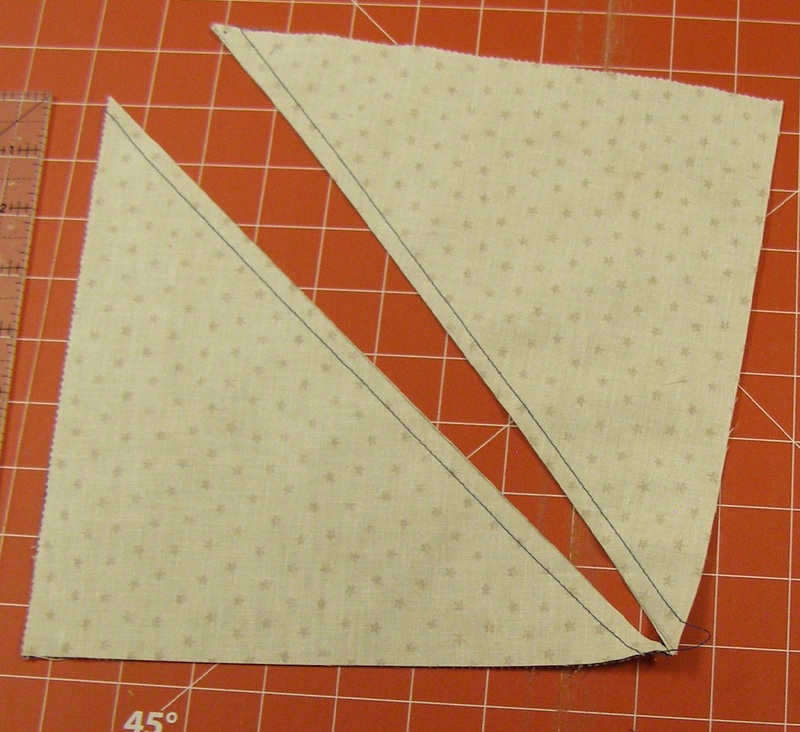 First, cut diagonally both ways (from corner to corner), then cut vertically and horizontally at 5″. 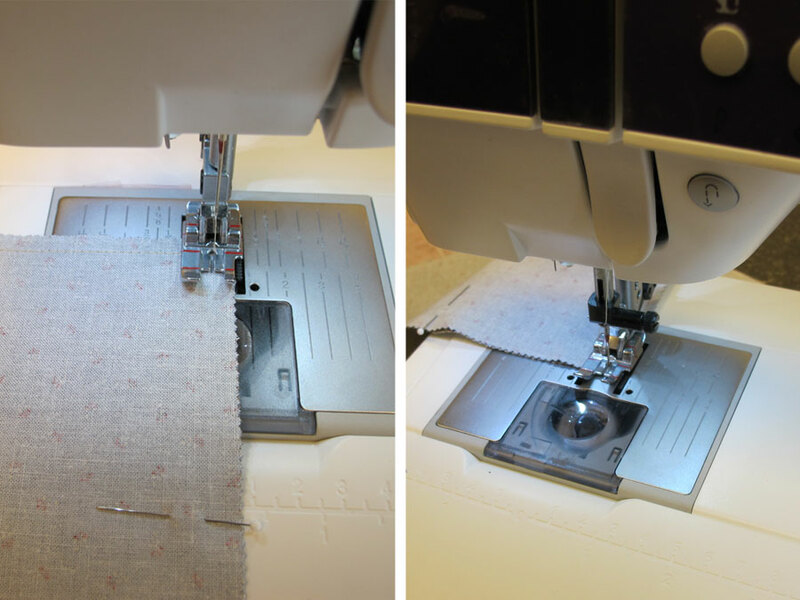 Press each piece towards the dark fabric. 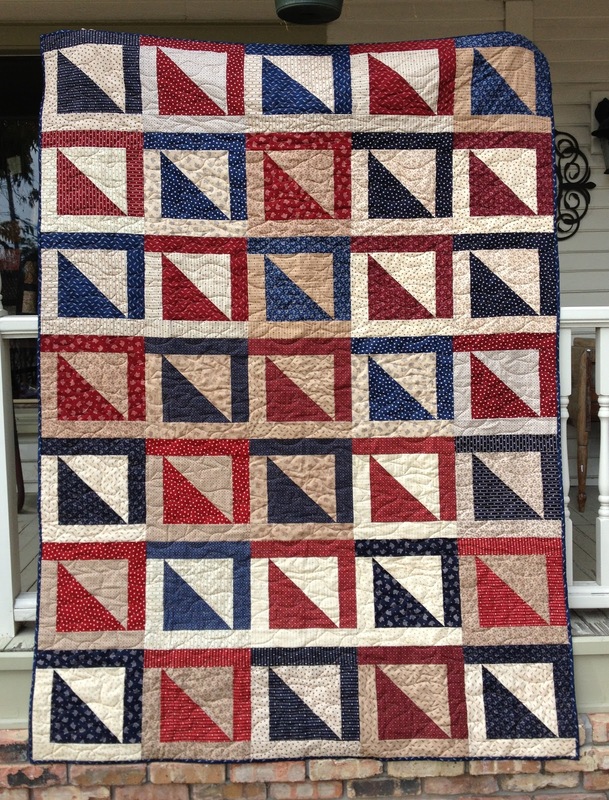 Mix up all your pieces and then re-pair them together with one BLUE piece and one RED piece. 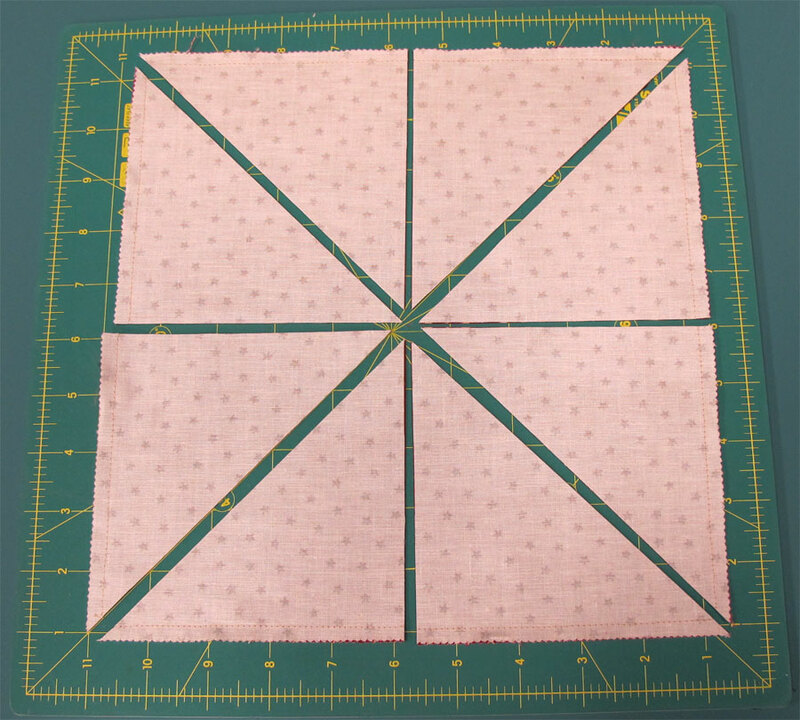 Match the center of them together, pin, and sew 1/4″ seam. 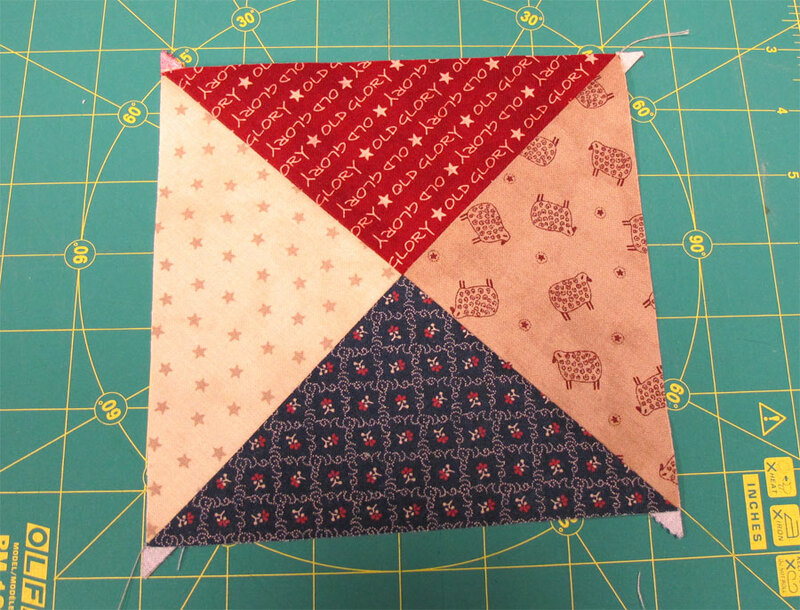 Now you have a finished “Hour Glass” block! 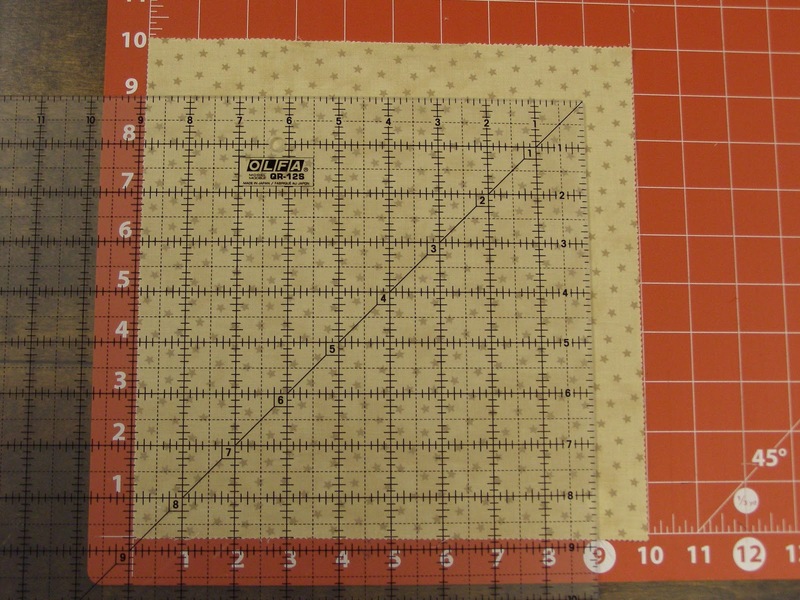 It should measure 6 1/4″ and will end up being 5 3/4″ finished. Repeat this process until you have created all the hour glass blocks. Now we are ready to start laying out our blocks and forming rows. Make sure to rotate every other block 90°. Arrange the blocks until you are happy with the color placements. 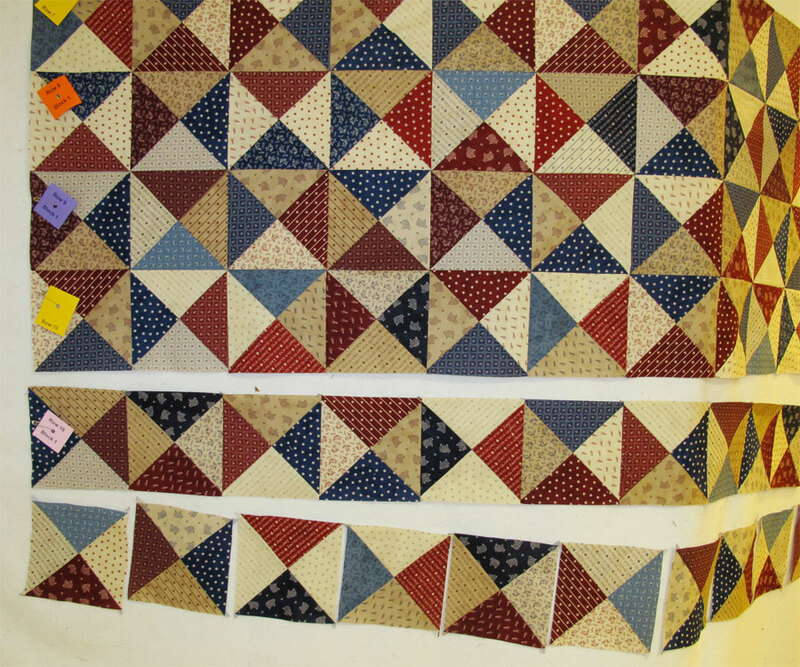 Sew together in rows, making sure to pin well so that everything is lined up perfectly. 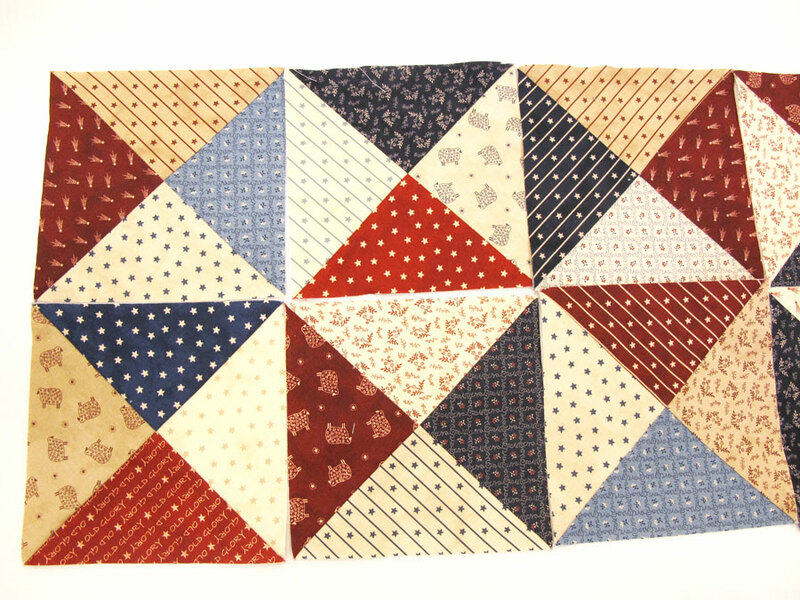 This quilt is 11 blocks across and 13 rows down. 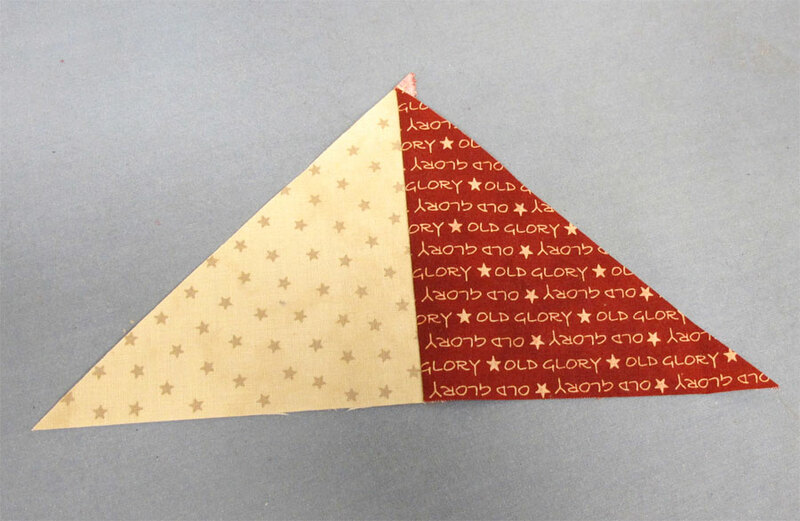 INNER Border: cut 7 – 2″ strips from the RED fabric. Attach sides first, then top and bottom. 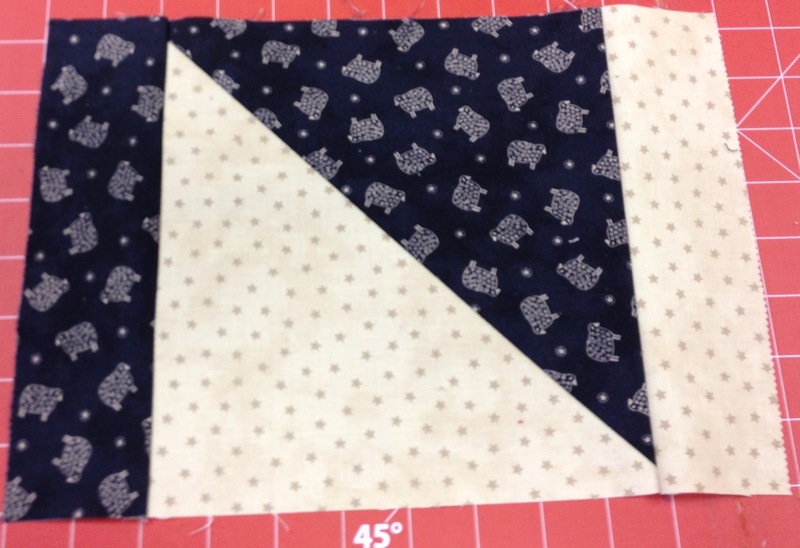 OUTER border: cut 7 – 6 1/2″ strips from the BLUE fabric. Attach sides first, then top and bottom. 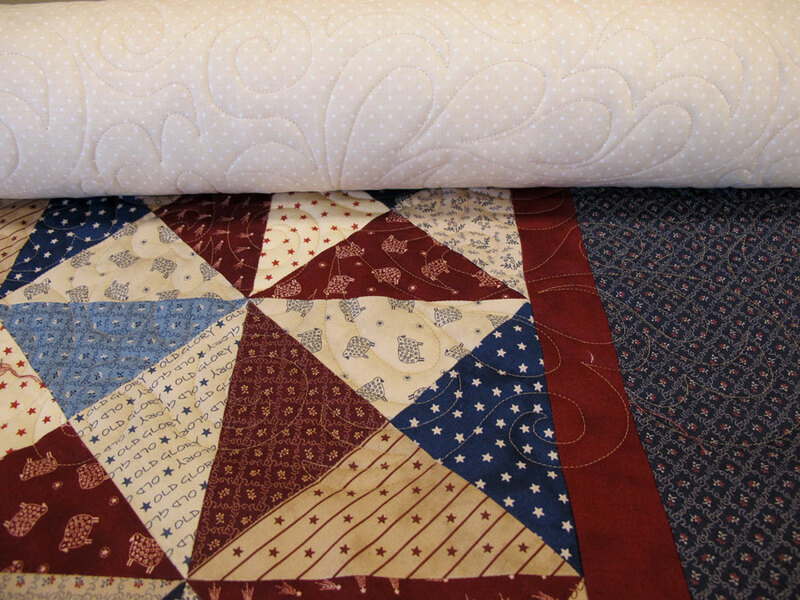 Baste, Quilt and Bind your quilt as desired! 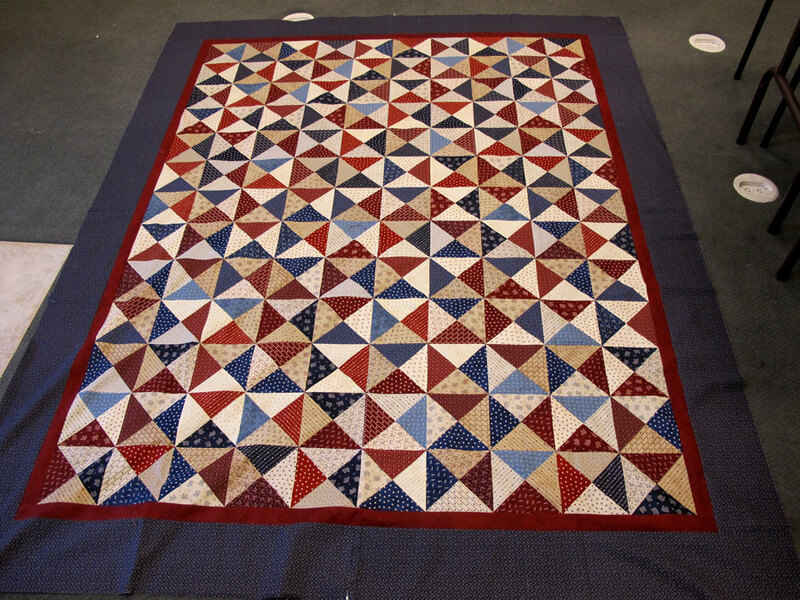 Finished Quilt Size is approximately 81″ x 92″. 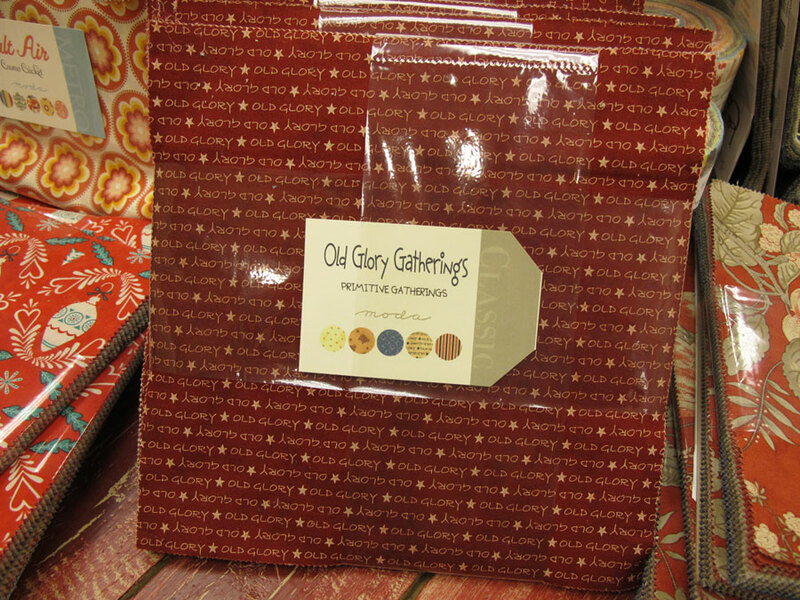 We hope that you’ll come visit us at www.quiltedworks.com. 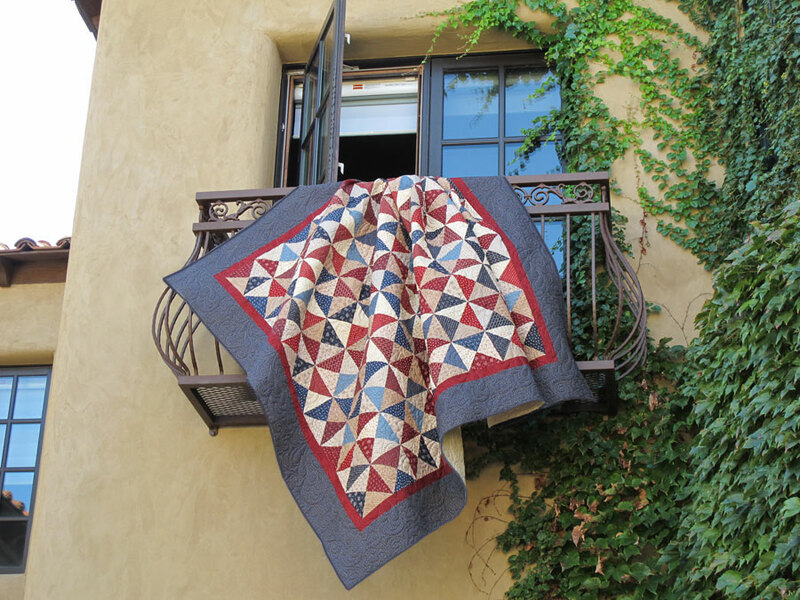 If you create a quilt using this tutorial, we would love to see it – be sure to link up to the Flickr Group here. 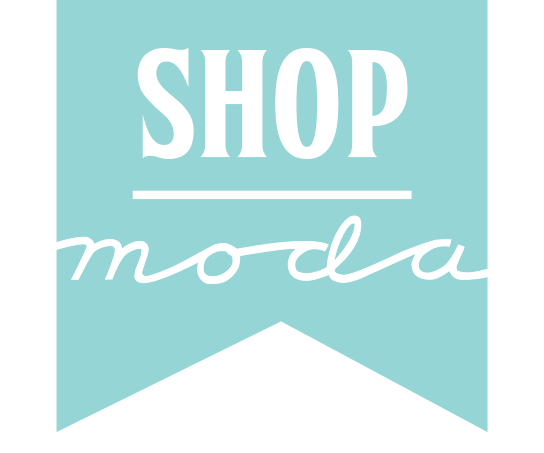 Kits for this Moda Bake Shop project can be purchased on our website and will be eligible for free U.S. shipping! 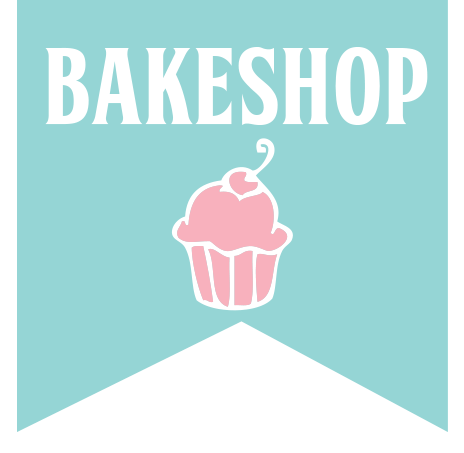 We have loved sharing our first project with you and hope to have many more to share.